Chinese OEM Xiaomi today announced two new mid-range devices for the Indian market. The Redmi Note 5 is essentially a rebranded Redmi 5 Plus, launched at the end of last year, and the Pro variant has the same 5.99" display but adds a dual camera module, a slightly more powerful processor, and a 6GB RAM option. Let's take a look at what each phone has to offer. Trailing just behind AT&T and Sprint, Verizon is starting to roll out their Android 7.0 Nougat updates for the Samsung Galaxy Note5 and Galaxy S6 edge+. First pointed out by a tipster, information for each is now live on the Verizon site. Not just the usual bug fixes and security updates this time around, as this release finally brings Verizon devices up to speed with the 7.0 version of Android, promising “a fresh, simple user interface” and new customization options. The Verizon Galaxy Note5 will be getting a bump up to software version number NRD90M.N920VVRU3CQB9 and the Galaxy S6 edge+ will be getting NRD90M.G928VVRU3CQB9. With the announcement of the Samsung Galaxy Note7 today, I'm sure many of you are curious about how the newest member of the original phablet phamily stacks up with some of the other jumbo-sized phones on the market. For your convenience, I've thrown together a quick spec comparison. Here's a rundown of how the Note7 stacks up against the S7 Edge, the always popular Nexus 6P, and, for old times sake, the Note5. If you often find yourself asking "yeah, but what if it didn't have an app drawer?" 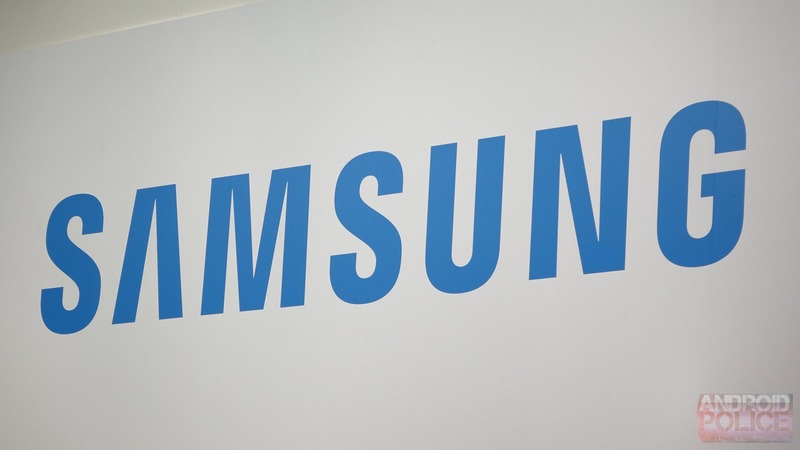 in regard to your Galaxy phone, good news: Samsung is testing a very big TouchWiz redesign that eliminates makes it optional... in China and Korea. Sorry, I know that was kind of a tease. But Samsung is testing something called "New Note UX" (I WONDER WHAT THAT REFERS TO) on the Galaxy Note 5 as part of its new Galaxy Beta Program. It looks different-y. If you want a top end phablet with a stylus, you can't find one with better specs than the Galaxy Note 5. You also can't find it cheaper anywhere than you can on eBay right now. The N920C unlocked international version is on sale for $550, over $200 less than the asking price at T-Mobile and AT&T. This version of the device has very broad GSM band support. The antenna is compatible with all the following frequencies. The seller will ship the device for free anywhere in the US. A truly useful piece of software? From Samsung? 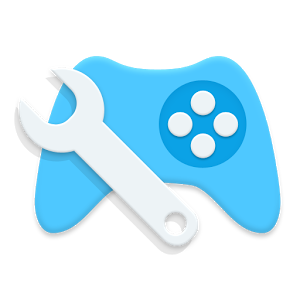 Color me surprised, too, but the company's new Game Tuner app is nothing short of incredibly handy for mobile gamers. As you may well know, playing visually-intensive games on your smartphone can demolish the battery fairly quickly. While most such games render at 1080p even on 2K displays like Samsung's, such resolutions can be big draws on both your remaining juice and your device's processor, causing throttling (and thus slowdowns) and excessive power drain. Samsung's new app lets you have a say in just how graphically hungry those games will be, allowing you to adjust maximum frame rate and resolution scaling. The Samsung Galaxy Note 5 is really the only game in town when it comes to a 2015 flagship with a stylus, but the US carriers want so much coin for it—over $700 most places. You can get a brand new unlocked Note 5 on eBay right now for $590. That's a much better deal. Update 9/28/15: Now back in stock and $10 cheaper at $579.99 in this new listing. This isn't really so much news as "I thought this was kind of cool and wanted to share it with all of you." I just received an evaluation unit of Samsung's new wireless fast charge pad for the Galaxy S6 edge+ and Note 5, and upon opening I noticed immediately that it was quite a bit thicker than Samsung's old Galaxy S6 wireless charging pad. I then spied an array of what looked like (and as it turns out, are) ventilation openings all along the bottom of the charging puck. Could it be? 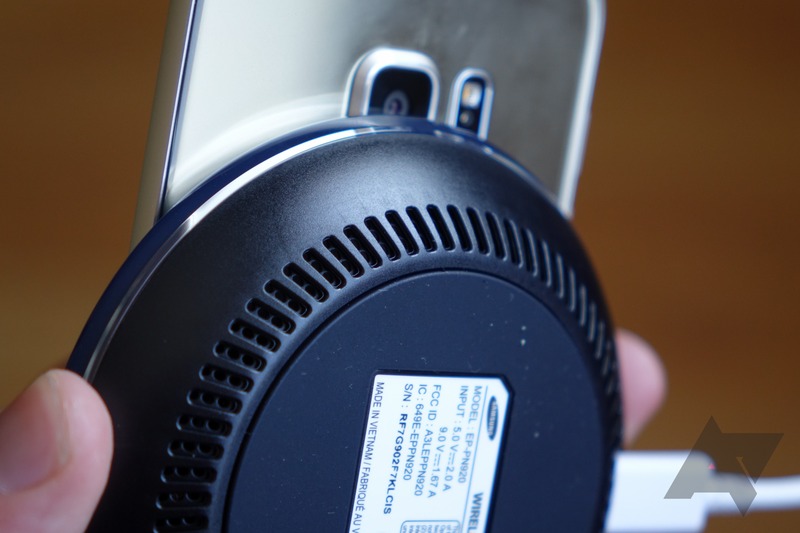 Did Samsung build a phone charger with a fan inside it? 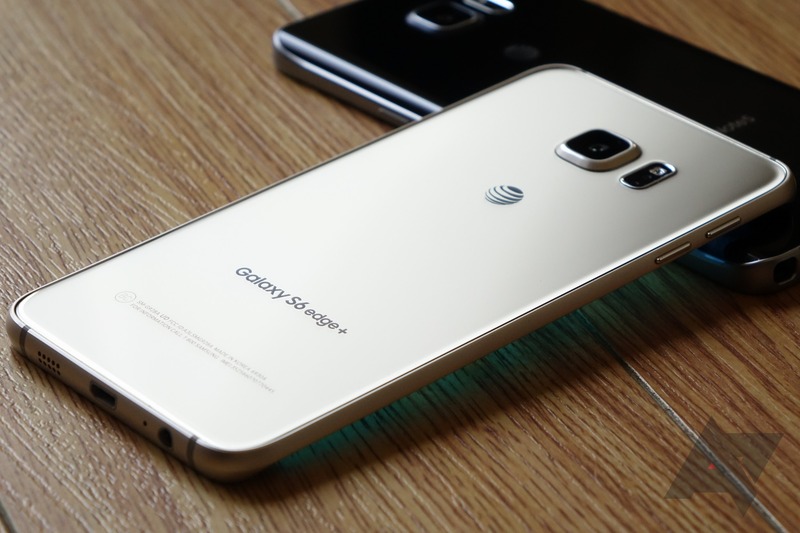 The Galaxy S6 edge+ is a large Galaxy S6 edge. If you want this phone distilled to its essence, there it is. It is derivative. That is its sole reason for existing, and if that is the bar to meet, the Galaxy S6 edge+ meets it with unforgiving literalness and exacting precision. 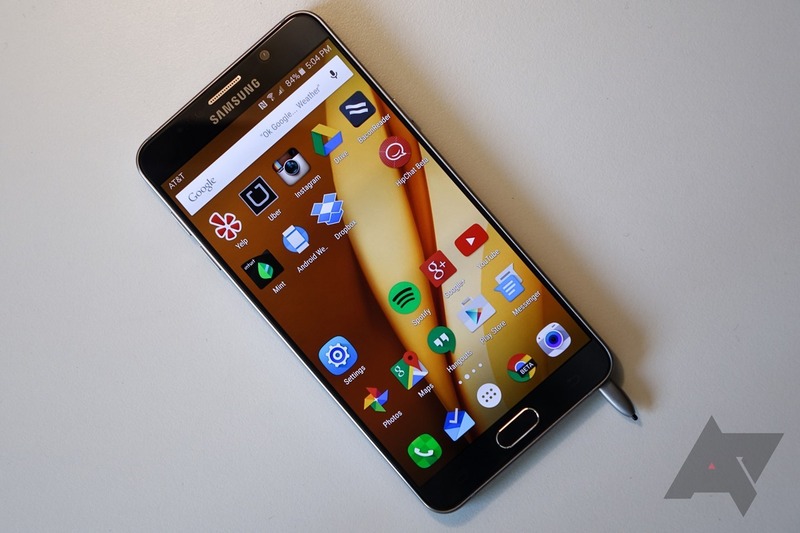 The Galaxy Note 5 is a large Galaxy S6... with a pen. And a curved backplate (a reverse edge, if you will). 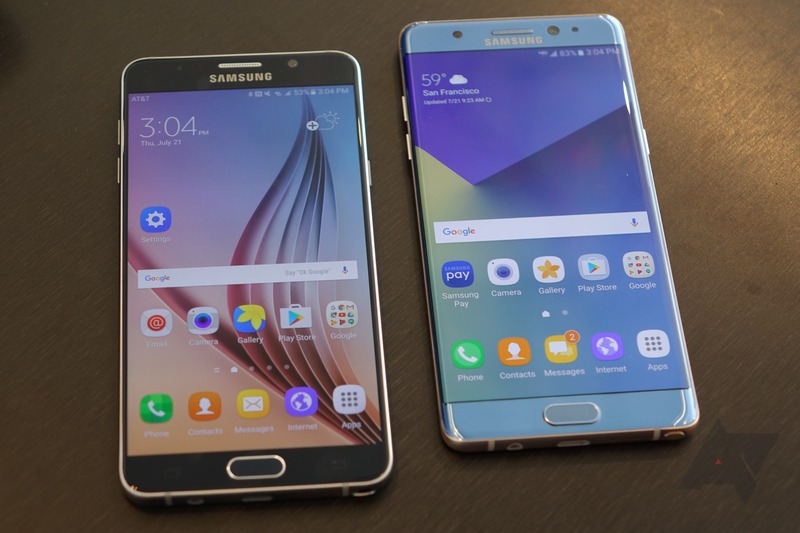 The Note 5 is very clearly defined not by the Note device that preceded it, but by Samsung's larger "premium" corporate brand image unveiled with the S6, and makes all but a complete break from last year's device except in regard to the stylus.